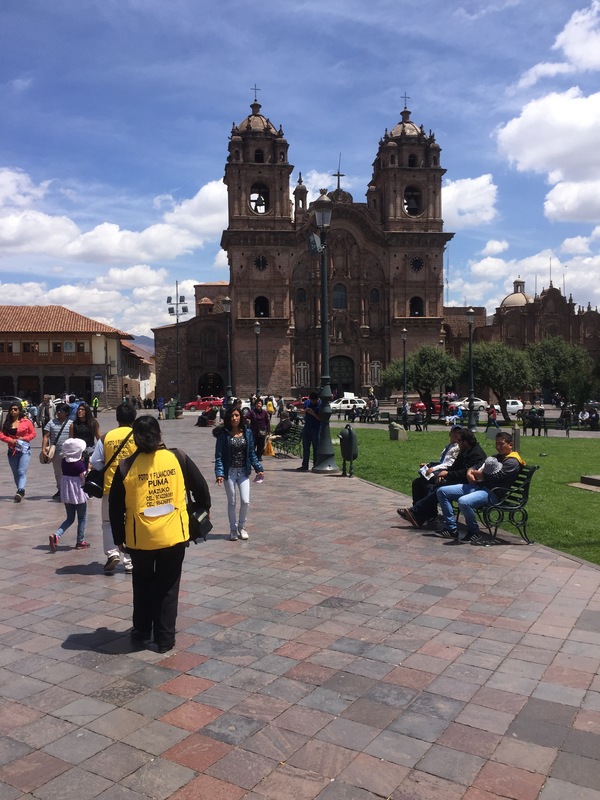 Tomorrow we fly out of Cusco to Lima and from Lima home. 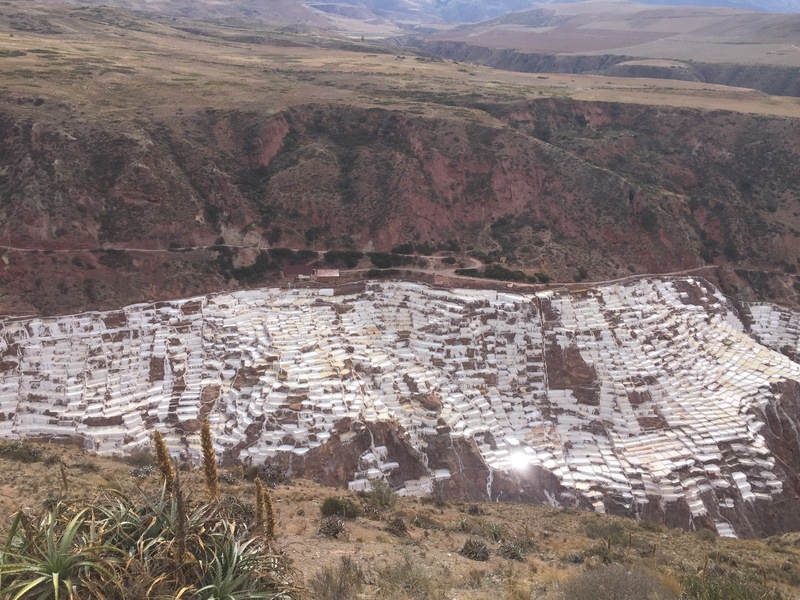 So today we took a taxi from Pisac back to Cusco. Before we left we wondered around Pisac people watching and browsing. We bought some souvenirs too. 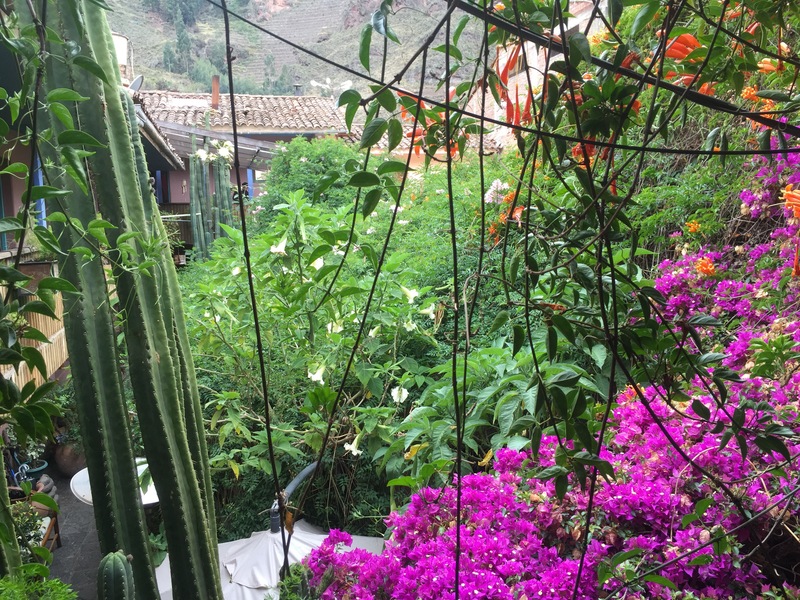 In Pisac we stayed at the Pisac Inn. 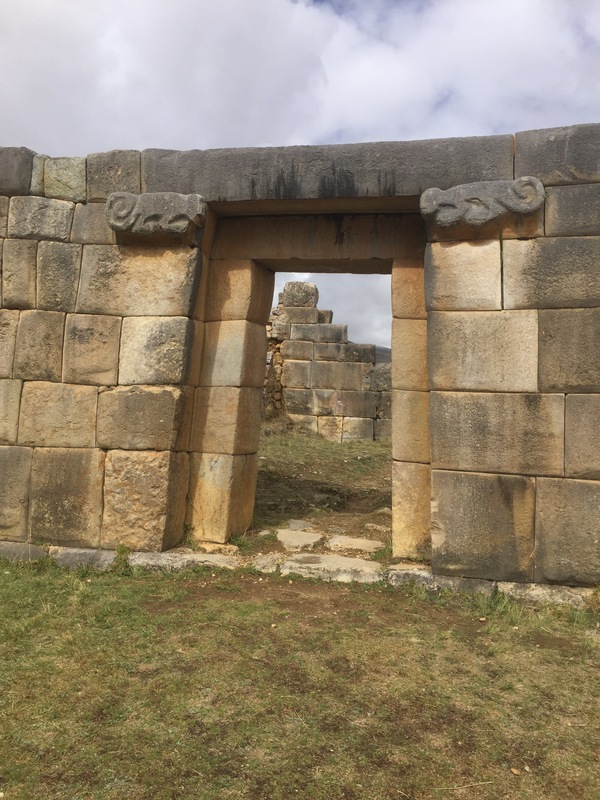 It was a wonderful place although all the doorways were only about 5 foot 10 inches tall. 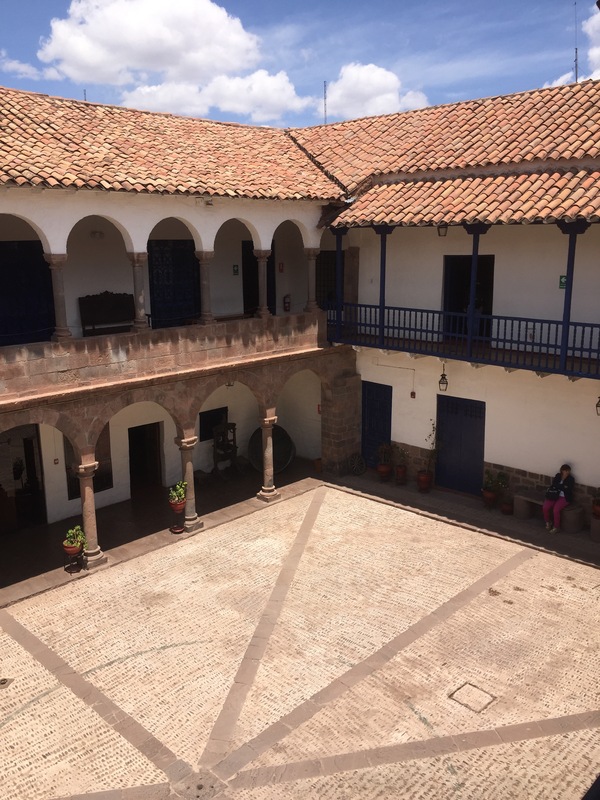 This is the courtyard. 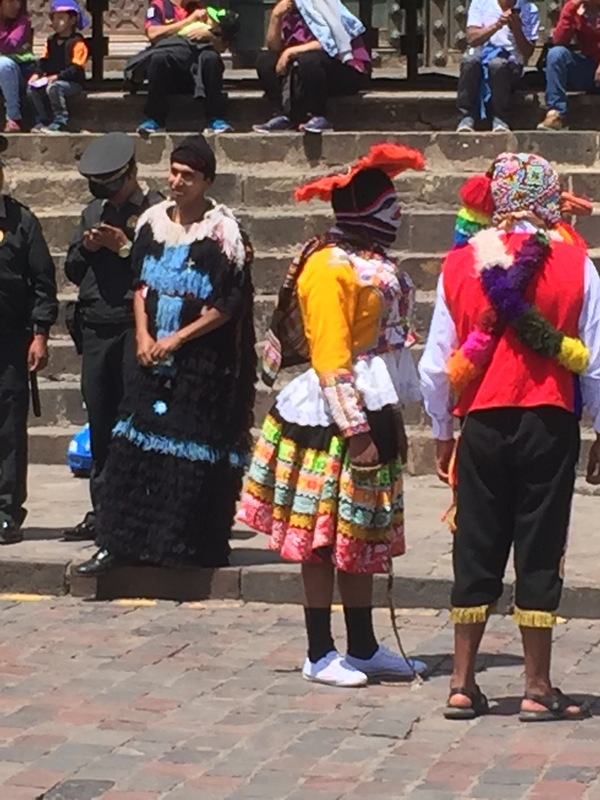 In Cusco we visited a couple of museums and wandered around people watching. 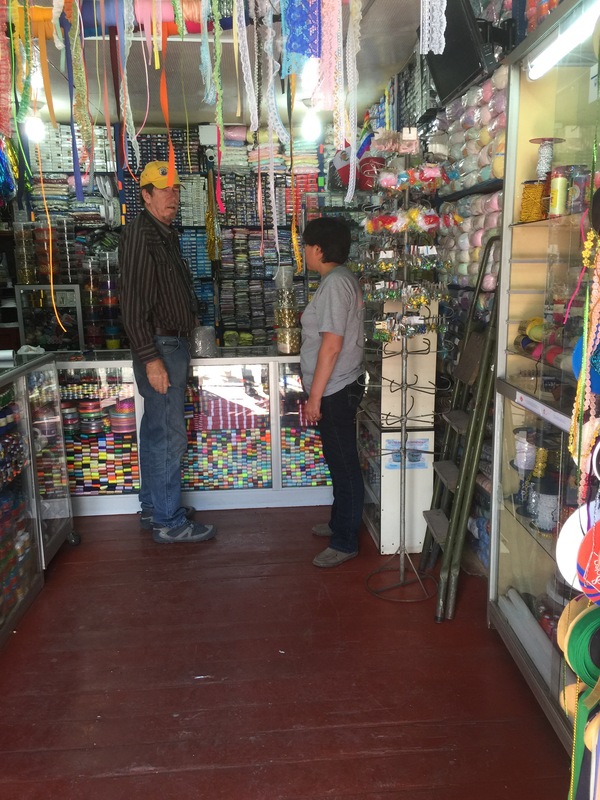 We did some more shopping and bought some more yarn. Duke says he is going to learn to knit! Pisco is Peru’s national drink. It is s distilled wine. 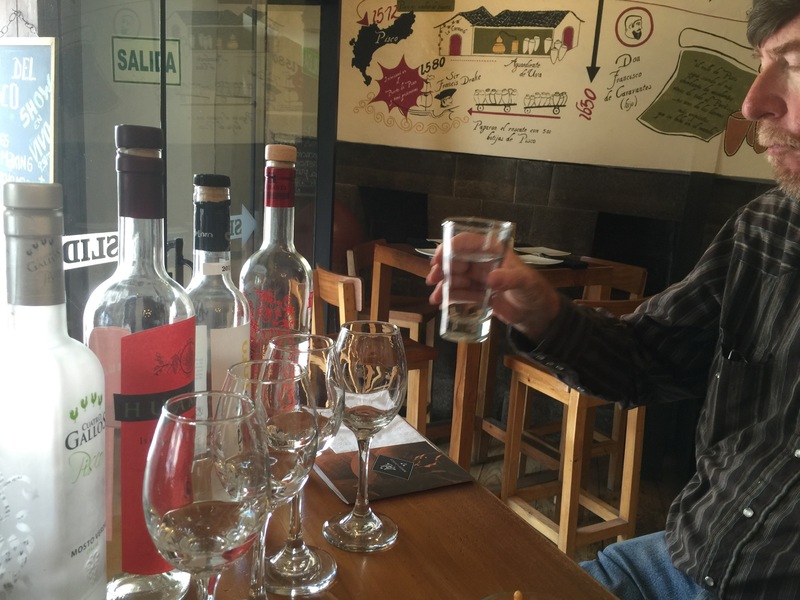 This afternoon we did a tasting at the Museo de Pisco. We liked the blended version best. 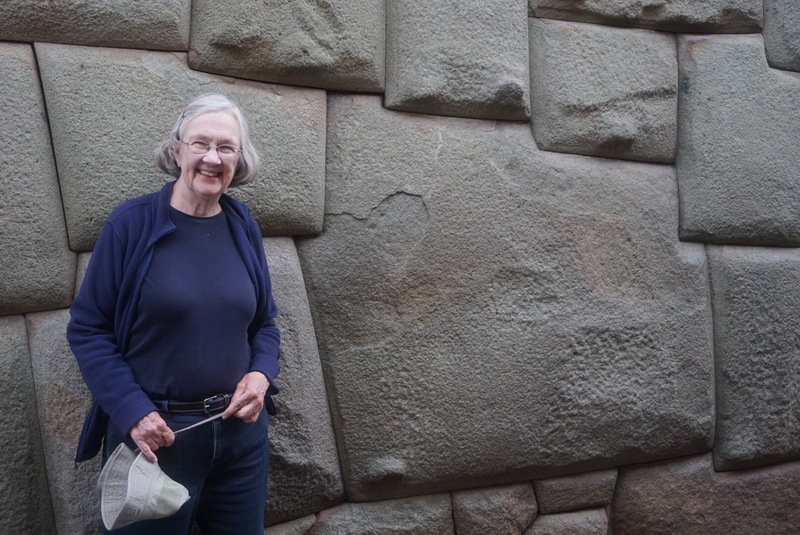 The Inca walls and how tightly they fit together never cease to amaze me. This twelve sided stone is a perfect example. 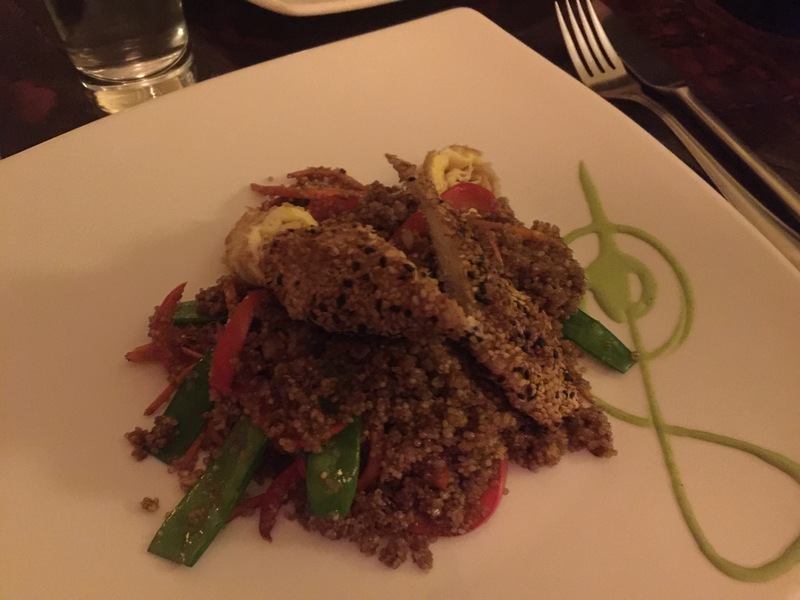 For dinner we are at Morena. The whole meal was wonderful but the desert, Cacao was especially good. 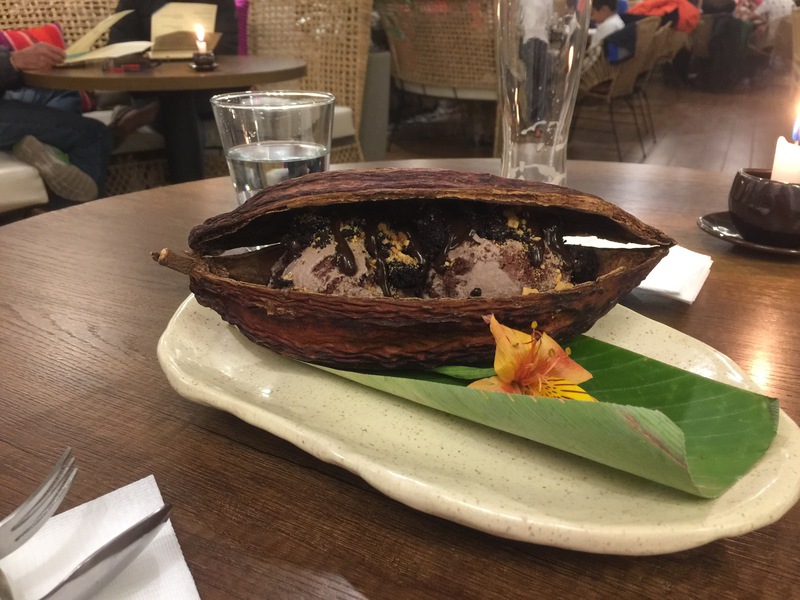 A chocolate brownie with chocolate ice cream served in a cacao pod. 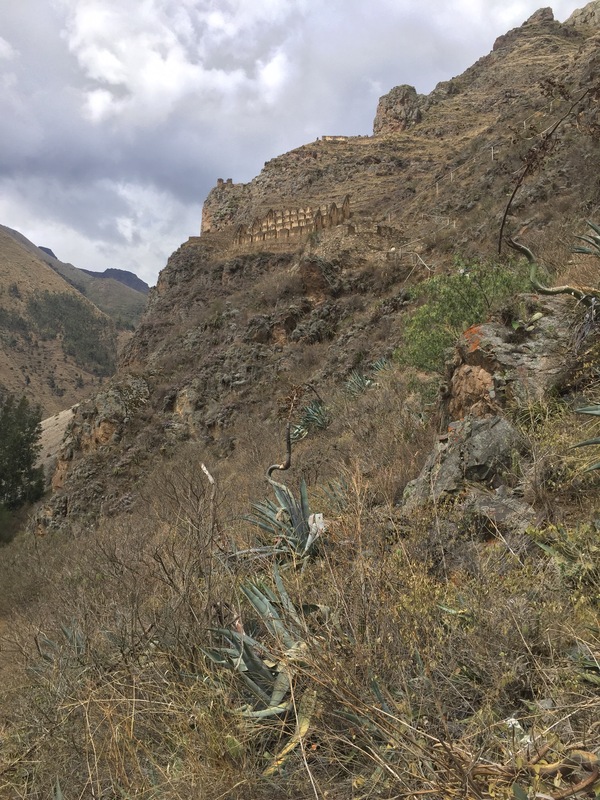 This morning before we left Sacred Dreams Lodge near Urubamba we hiked to some ruins near the lodge. 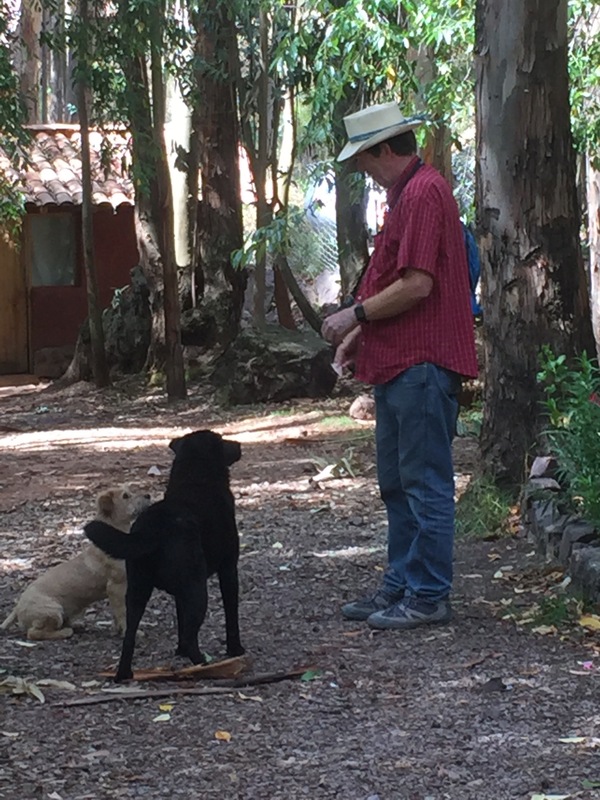 The hotel dog accompanied us on the hike. 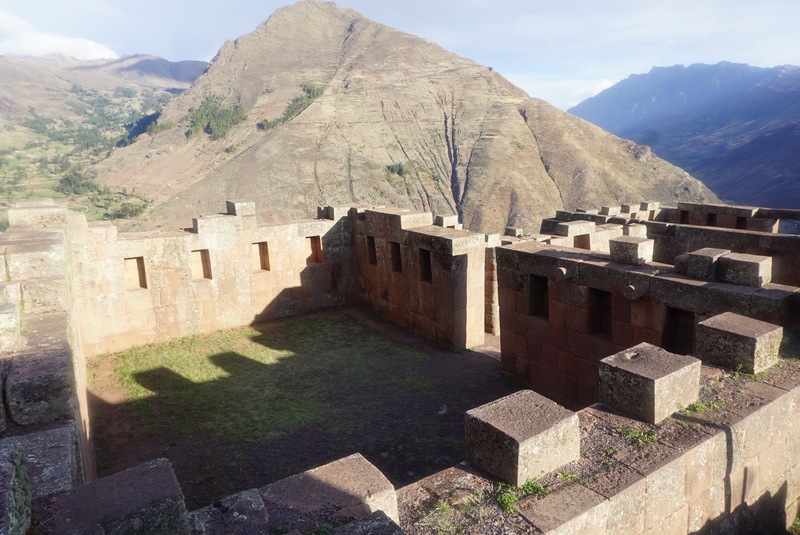 We took a taxi from Urubamba to Pisac. 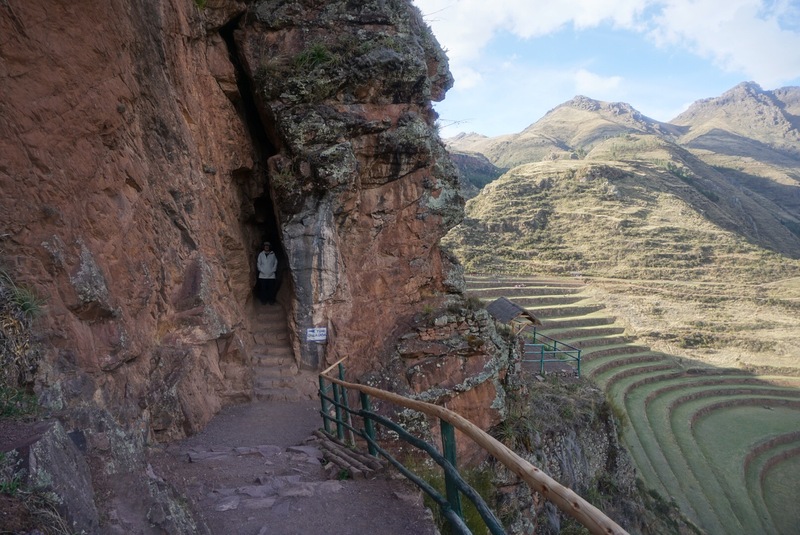 We are staying at the Pisac Inn. 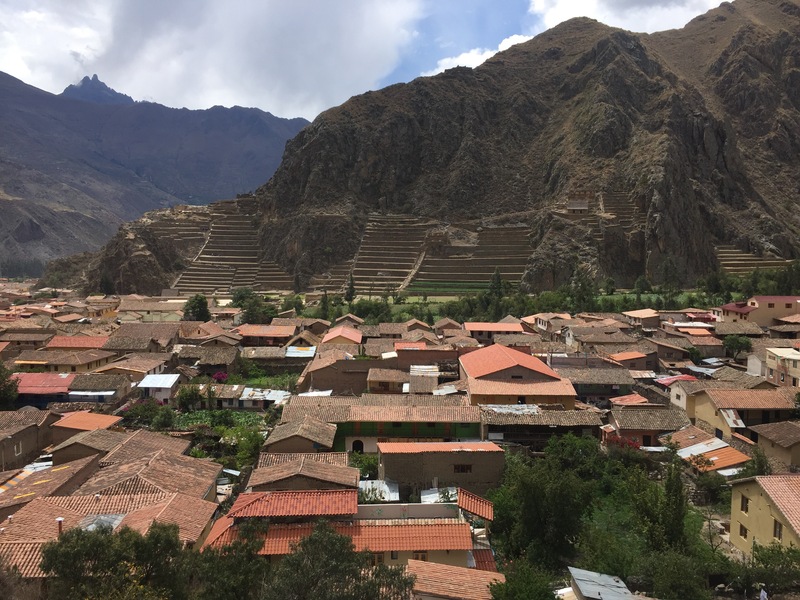 Around 3pm we took a taxi up to the Pisac ruins and walked down to our hotel. It was quite a walk. Around every turn there were more very different and very impressive ruins. We had a great dinner at our hotel. 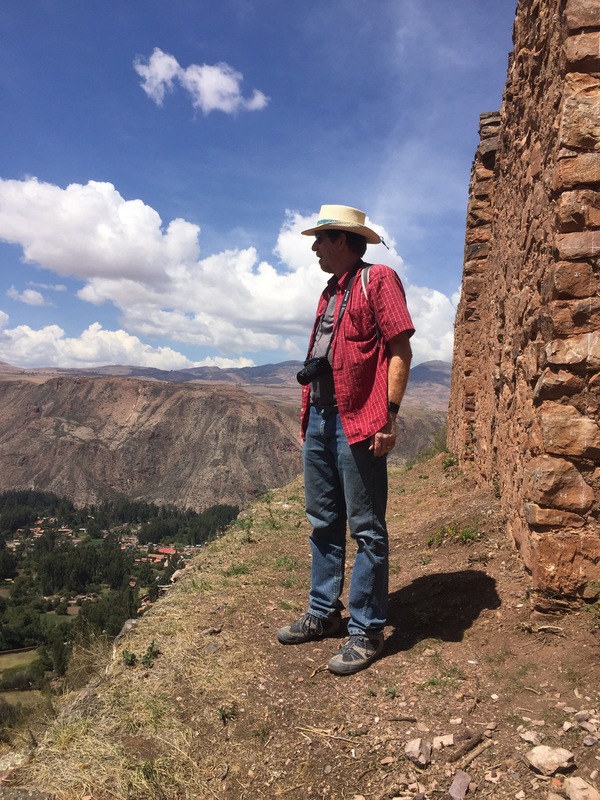 We left Aquas Calientes on the tourist train this morning and then took a taxi to Sacred Dreams Lodge in the hills above Urubamba. 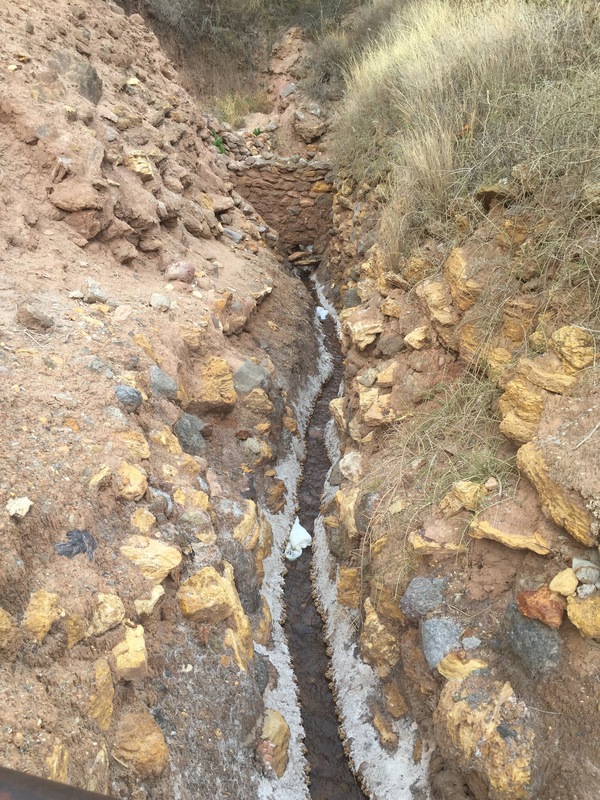 Next we visited Salineras where the saline water coming out of a spring is still used to create evaporative salt ponds to produce salt. 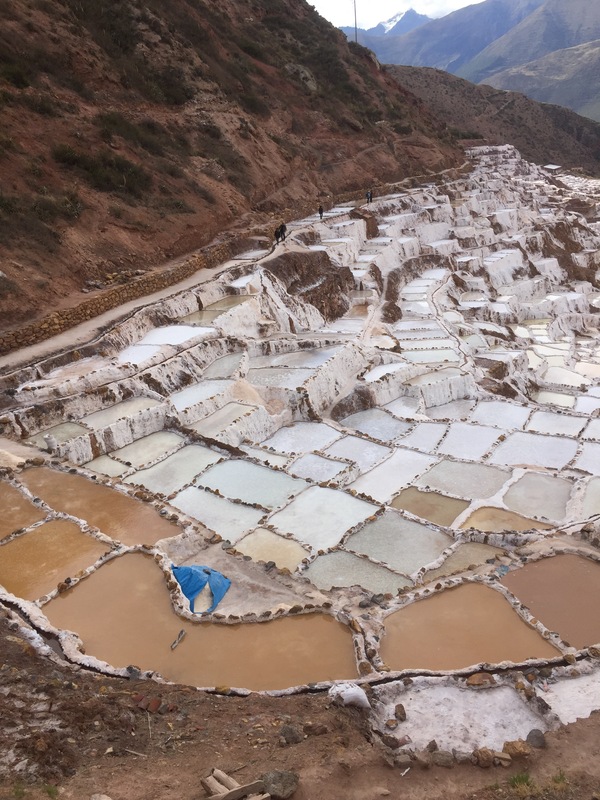 The salt ponds were originally built by the Incas. 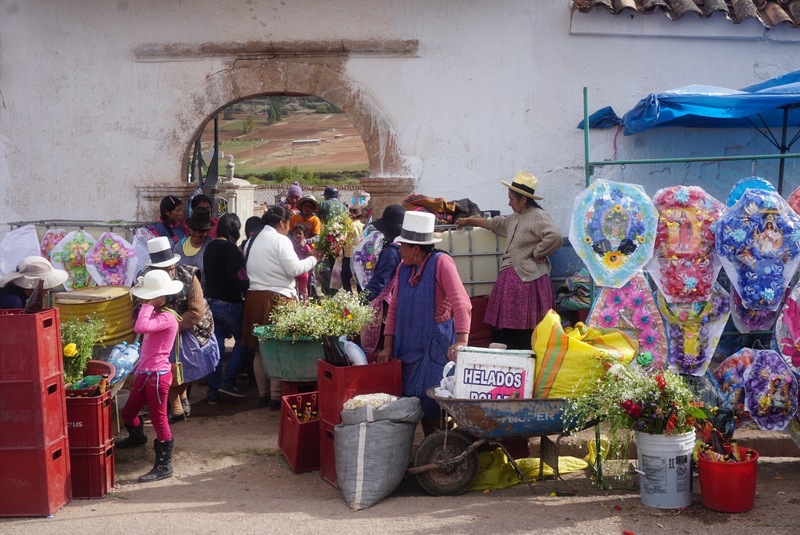 All day today as we travelled we have seen lots of people selling flowers. 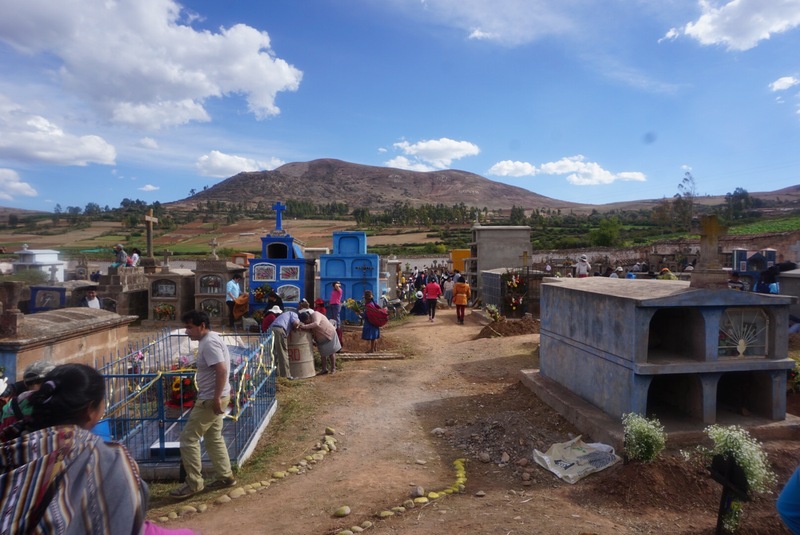 It wasn’t until we passed a cemetery that seemed to be hosting a party that I realized that today is Día de Muertos – Day of the Dead. 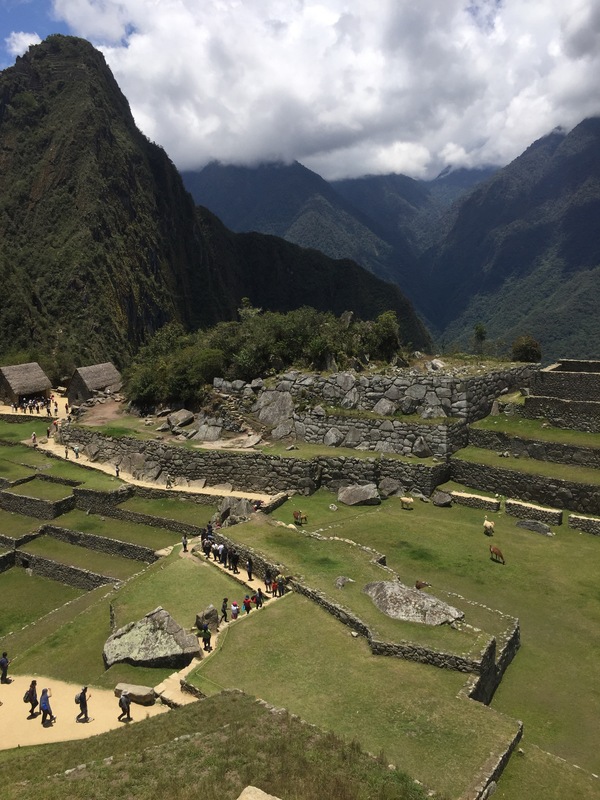 It feels like Machu Picchu is the culmination of our trip but we are here during the last week because it is just the logical end of our loop through Peru. 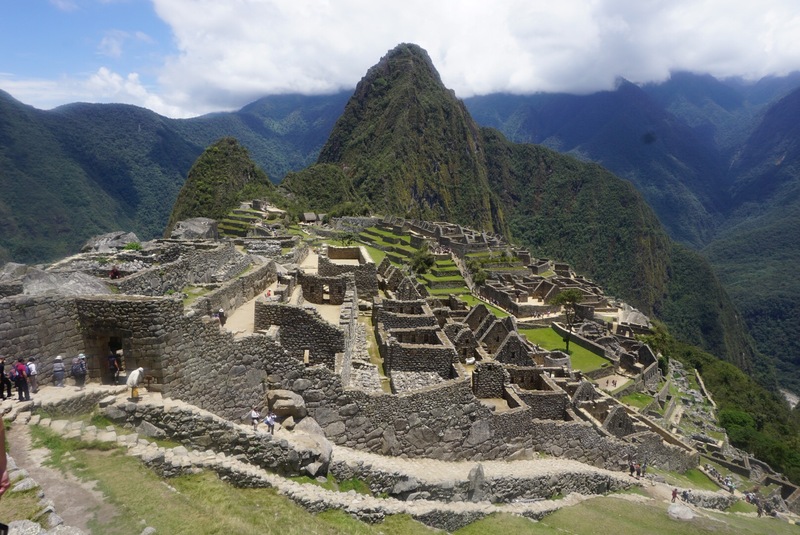 This morning we caught a bus from Aquas Calientes up to Machu Picchu and spent about four hours exploring the site. It is s stunning as everyone says – high on a mountain top surrounded by River canyon and more mountains. 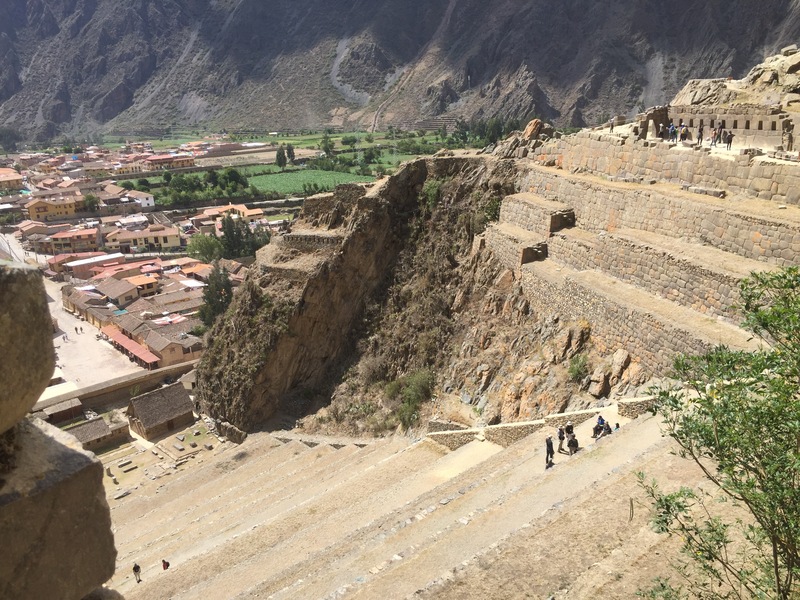 One cool thing we did is hike up to what they call the Inca Bridge. It literally hangs on the edge of a cliff. There were throngs of people and this is not the high season it’s hard to imagine what it must be like at Machu Picchu in July and August. In Aquas Calientes we stayed at a wonderful new hotel Cabaña. 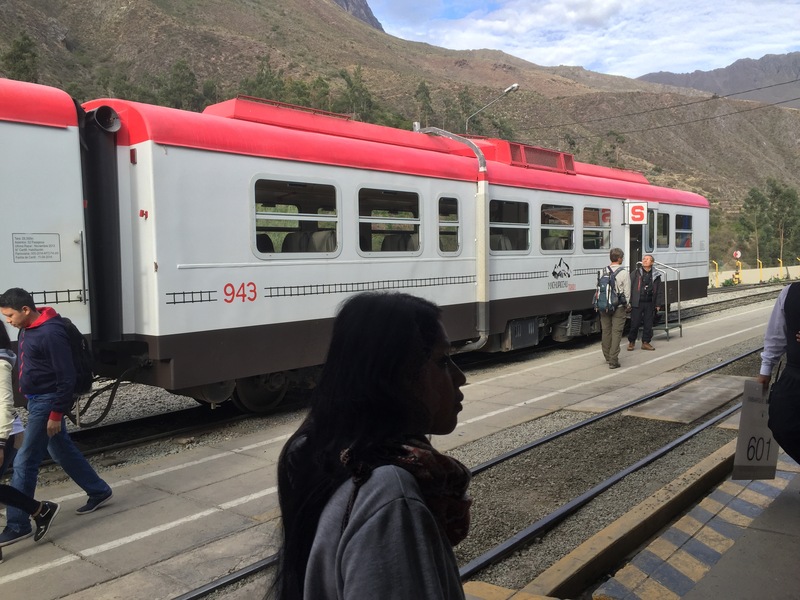 This morning we caught the train from Ollantaytambo to Aquas Calientes the town at the base of Machu Picchu. 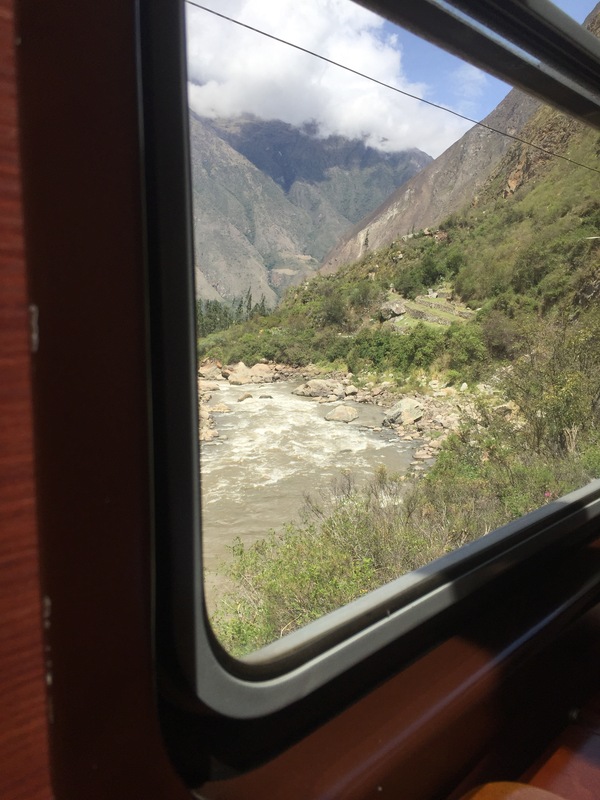 The train followed the Urubamba River through the Sacred Valley of the Inca. 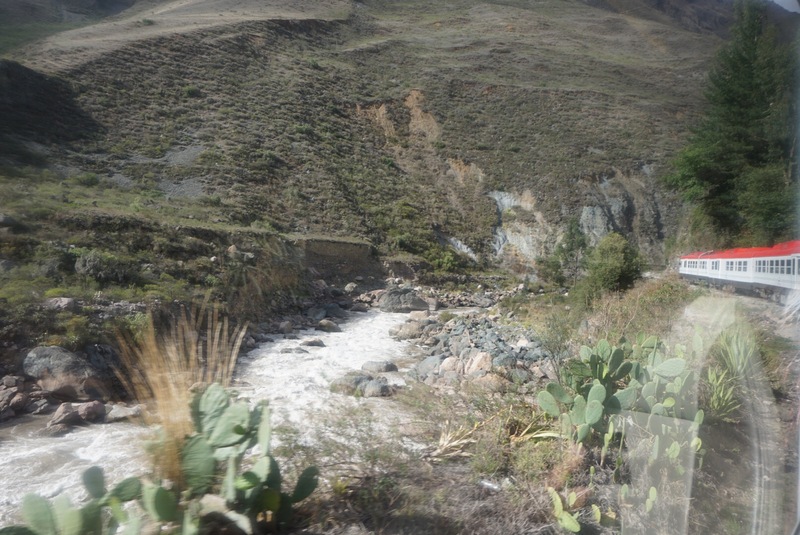 The terrain and vegetation changed dramatically as we moved lower. 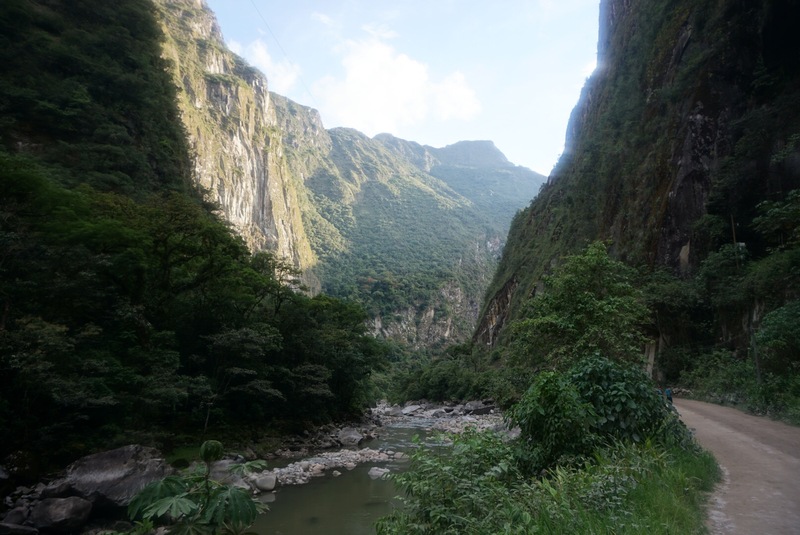 Aquas Calientes is at an elevation of 6700 ft and the fauna is high jungle. 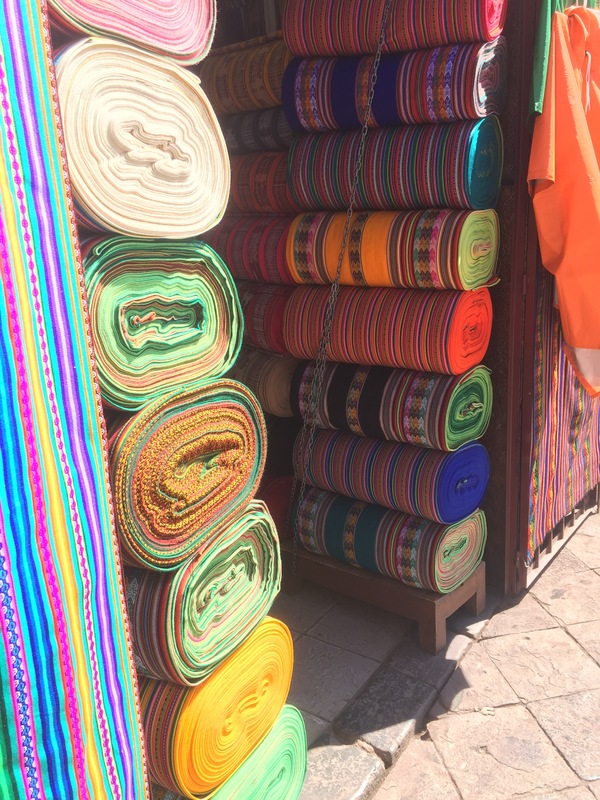 Aquas Calientes doesn’t have any cars and is pretty much all hotels and restaurants. 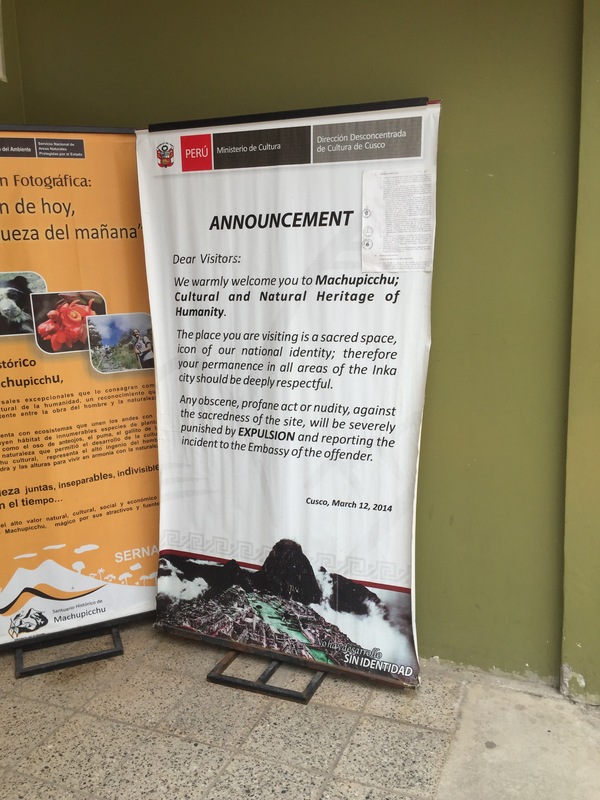 We bought our bus tickets and entry tickets for Machu Picchu tomorrow. Then we went for a walk down the road and train tracks that we will take tomorrow. The canyon and jungle are beautiful. 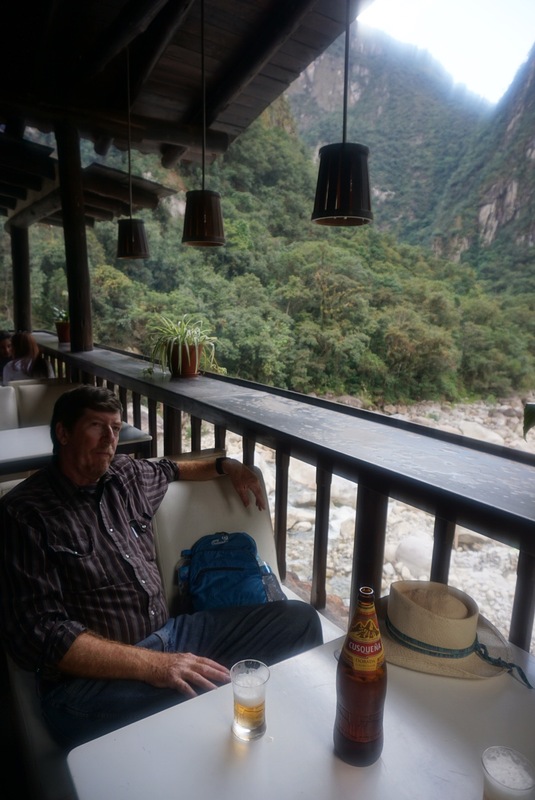 When we got back from our walk we shared beer and fries overlooking the river. The river is a lot lower here because they have taken a lot of the water out to use in a hydroelectric plant down stream. 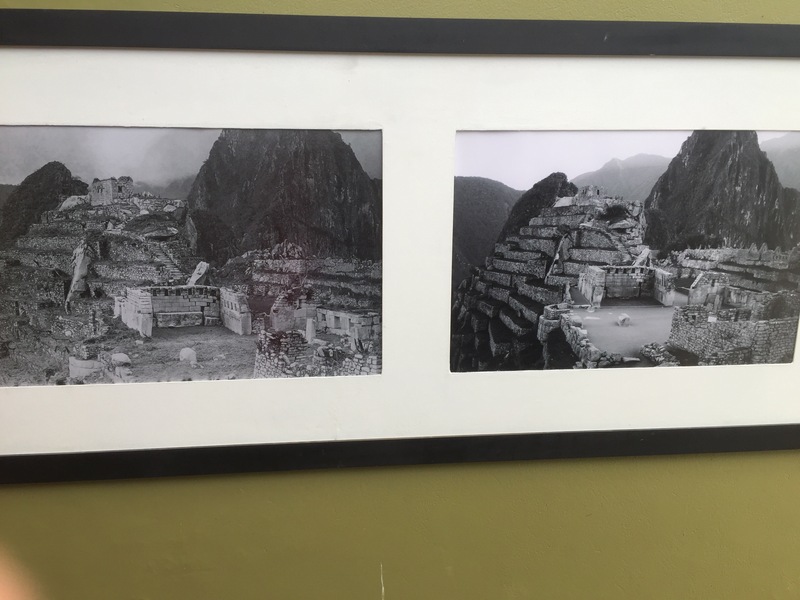 This afternoon we checked out an exhibit of 1911 and 2014 pictures of Machu Picchu. Very interesting. 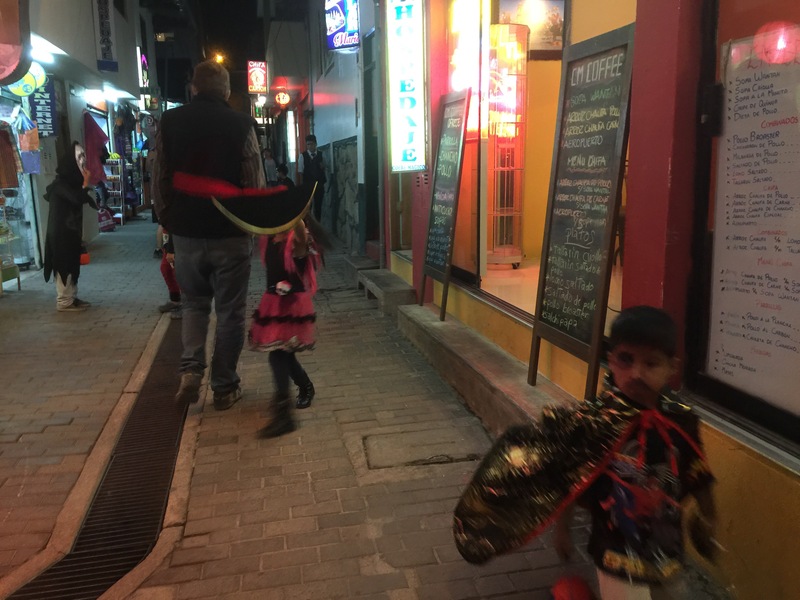 As we were walking to dinner we saw lots of princesses and Spider men. It seems that Halloween is celebrates here too! I think I’ll end with this sign we saw today. I guess we will have to keep our clothes on tomorrow! We had a wonderful dinner in Aquas Calientes at the restaurant El Albergue. 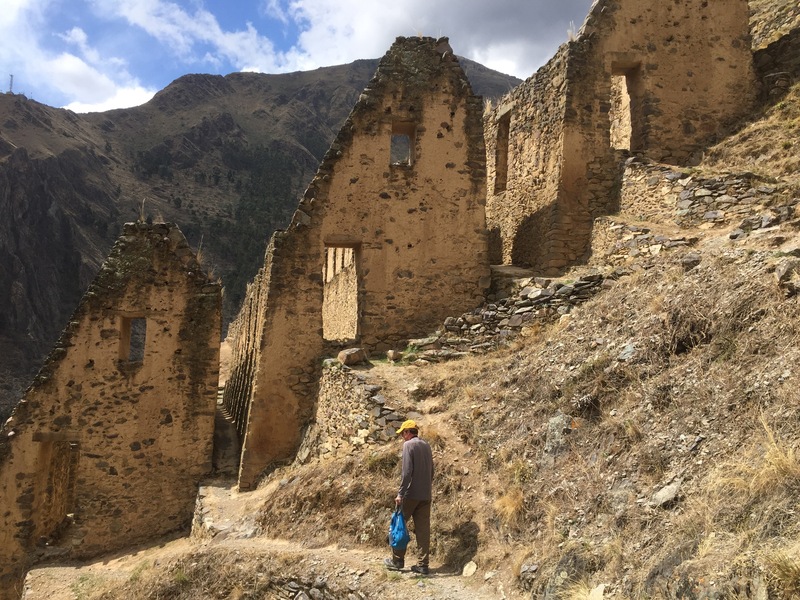 This morning we explored the fortress of Ollantaytambo. The ruins are built into the mountain right on the edge of town. 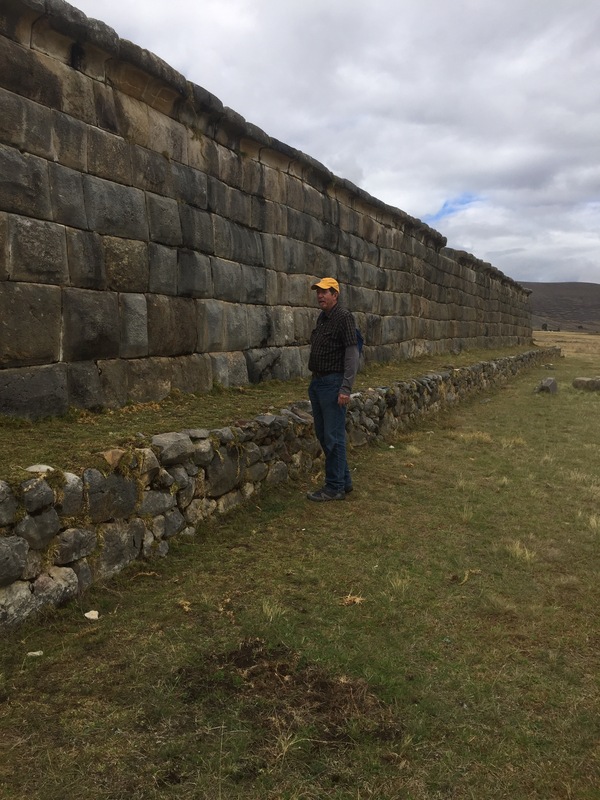 There are massive stone terraces and structures. 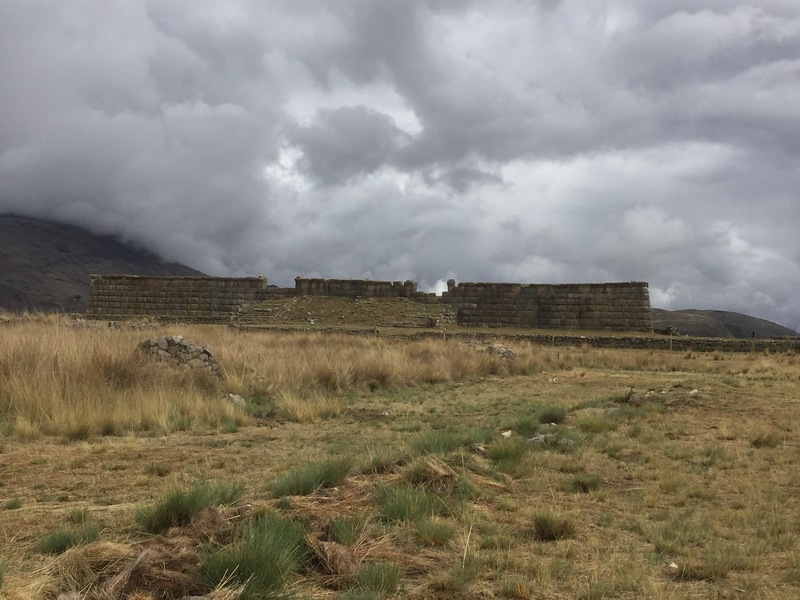 Ollantaytambo is at the junction of two rivers and this fortress is the site of a battle in which the Inca beat the Spanish at least initially. The water system is prett impressive too. We climb up to the top on one side and then back down on the other. 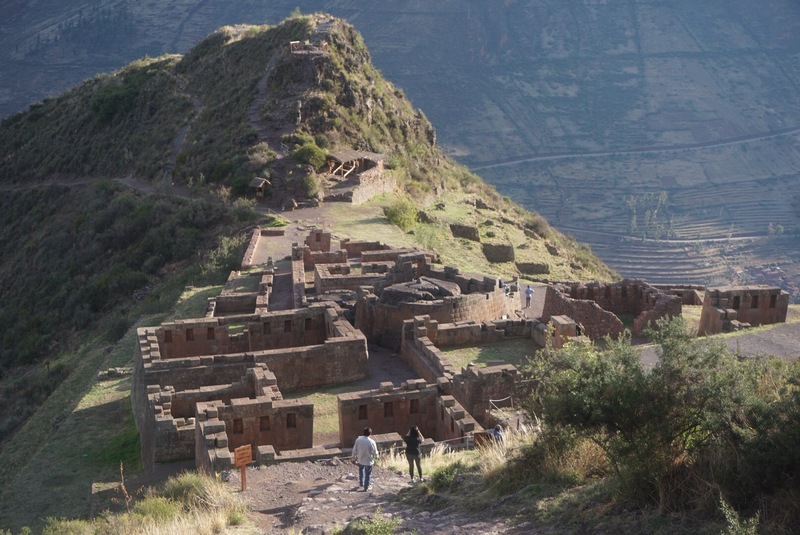 This afternoon we climb up to the ruins on the mountain opposite the fortress. In this picture you can see the three big buildings we climbed up to initially. Duke wanted to climb from there up to the ruins you can see above the three buildings. I initially said no but then agreed to go along There was a pretty amazing view from the top. 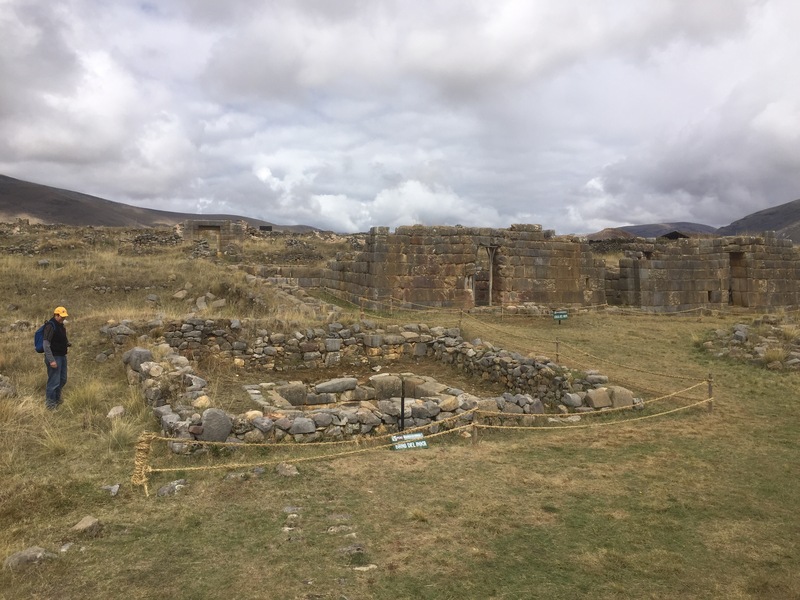 This morning we started out early and got a taxi to the Pampa de Huánuco also known as Huánuco Viejo. 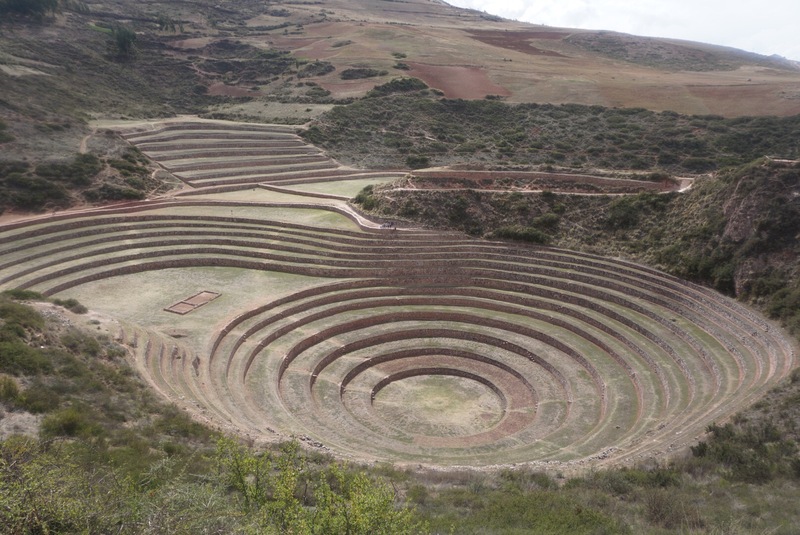 It was the ancient capital of the Northern Inca Kingdom. The ruins are surrounded by grassland. We got an early start so we were the only ones there. 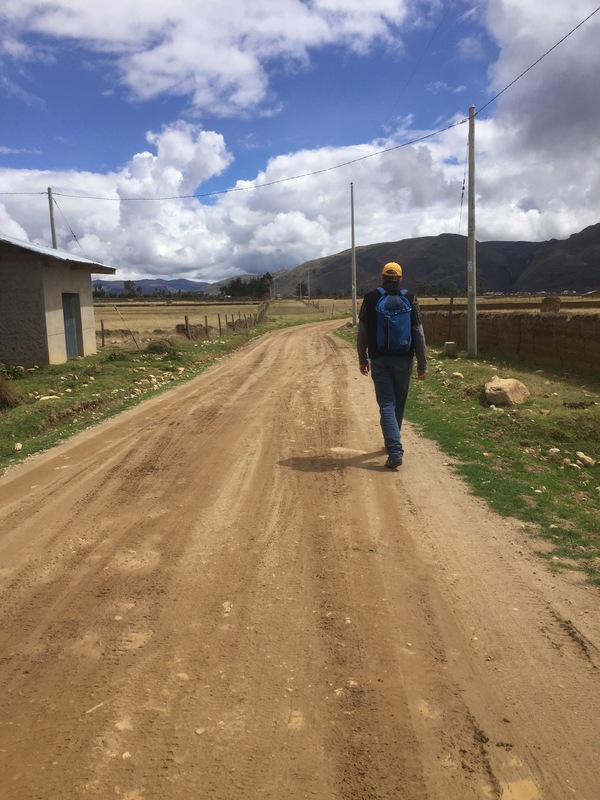 After we were done exploring the caretaker told us that if we started walking back to town someone would come along and give us a ride. We ended up walking about 5 miles or three quarters of the way back to town before we finally got a ride. 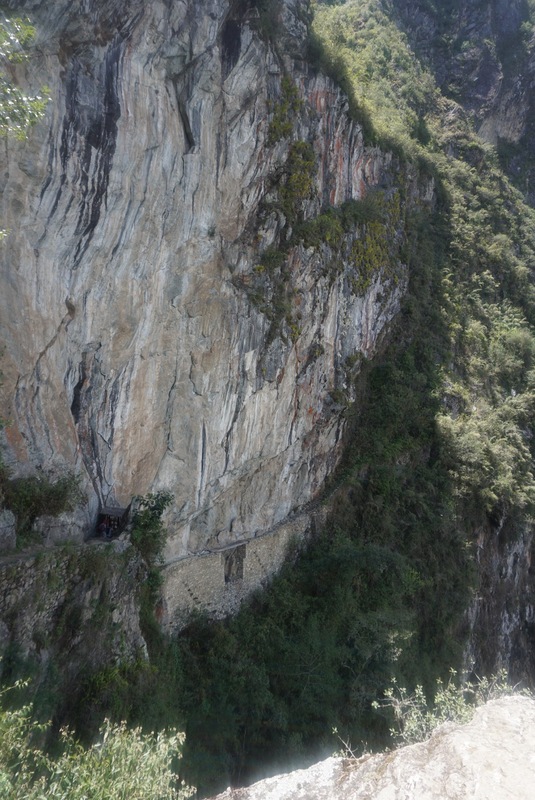 When we got back to La Union Duke arranged a shared taxi to take us the 130 kilometers to Huánuco. It turned into quite an ordeal. There were five of us in the taxi. I was in the middle in back. The taxi had essentially no cushions or springs and the road twisted and turned and was full of potholes. The 130 kilometers trip took three and a half hours. My behind may never be the same again. 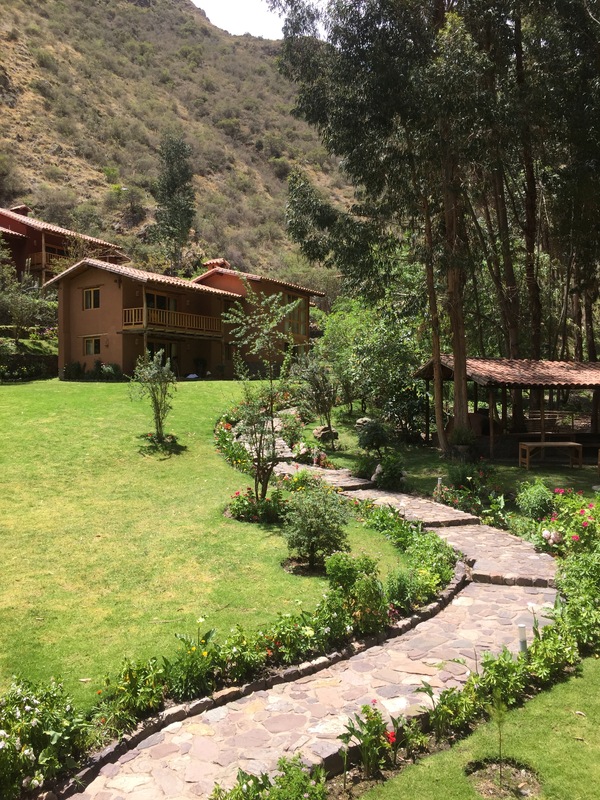 But now we are in a very nice hotel in Huánuco ( The Grand Hotel Huánuco) and we’re looking forward to resting for a few days. We just finished a great dinner in the restaurant.